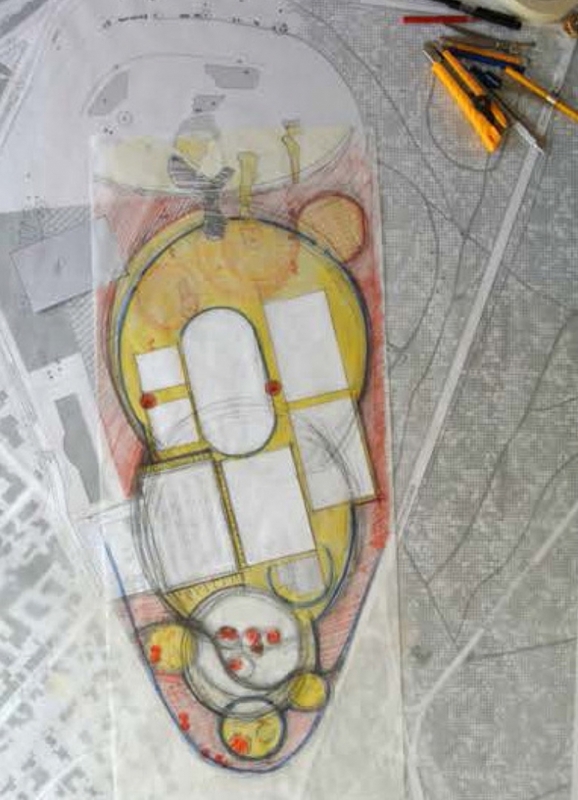 At the edge of the city’s woodland and of the river main floodplain, the project considers the football training centre as a landscape garden within the city of Frankfurt. 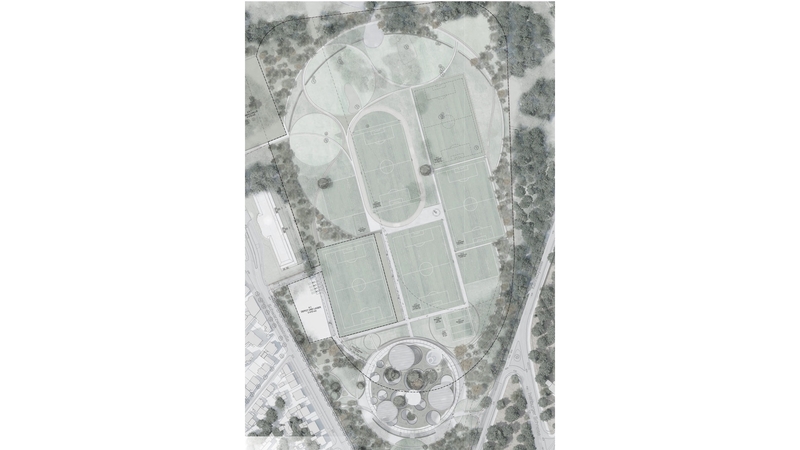 The existing topography of the site is ideally flat and mostly appropriate for the installation of sport pitches. The existing woodland and specimen trees provide an exceptional setting for the complex. The woodland sitting along the eastern boundary is extended to create a series of monumental glades, creating a protective setting and buffer for the football pitches. A mix of tree species (mostly species already existing on site) are planted as saplings and tillers in order to generate a green belt around the complex. Following the planting techniques used in the forestry industry, a rich, long lasting and bio-diverse woodland is provided with a reduced cost at planting. The system of clearings, formed by hedges, creates various views, experience and atmospheres to the users. 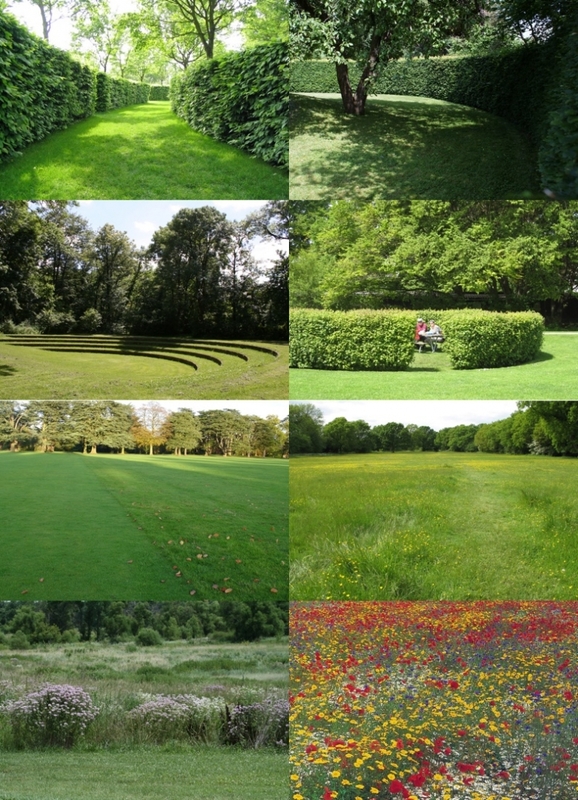 they are mostly planted with lawn and rich species meadows. The different layers of tree planting create a grading from the existing natural looking forest to a totally controlled nature represented by the turf of the football pitches. Directly facing the building, the southern glade garden contains a green amphitheatre facing the main entrance of the disc. Various paths distribute the pitches and the different areas of the park, creating delightful promenades around the site. The running track has a free form crossing all different environments of the park in order to provide pleasure in training.